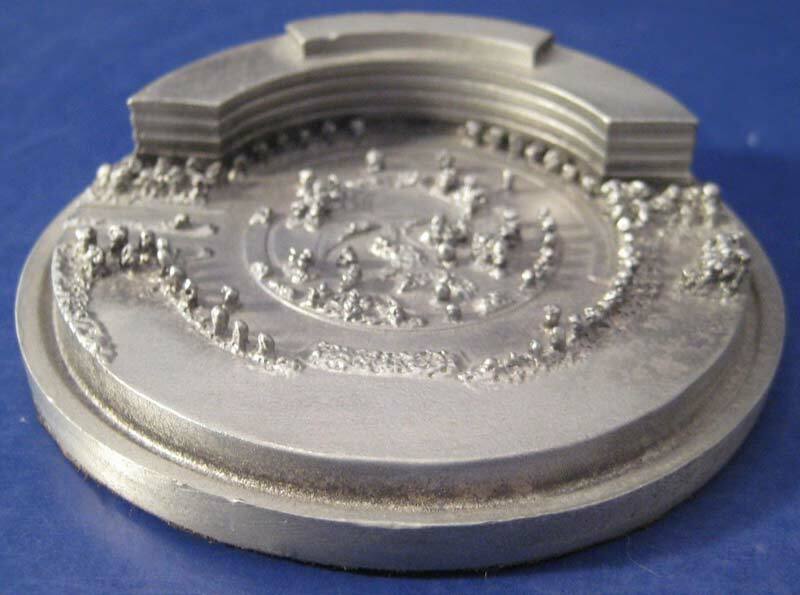 Pewter has been around since the Roman Empire and used to create chalices, patens and spoons for ceremonial use. It is an alloy consisting mostly of tin which has been mixed with small amounts of other metals such as copper, lead or antimony to harden it and make it more durable. 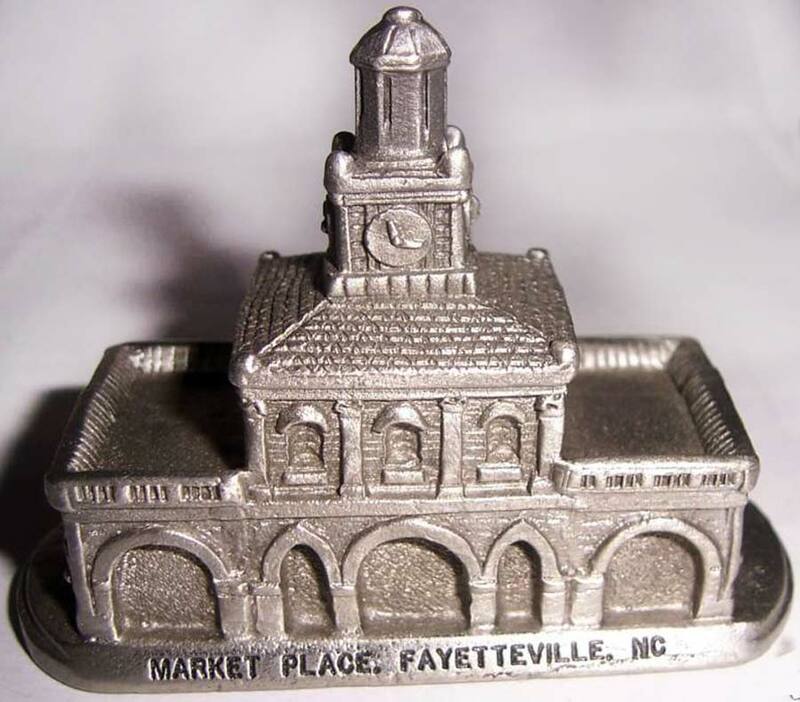 Early pewter often contained lead to give it strength. Lead causes old pewter to turn it's characteristic dark gray color. Today’s lead-free pewter softens to a very light gray patina. 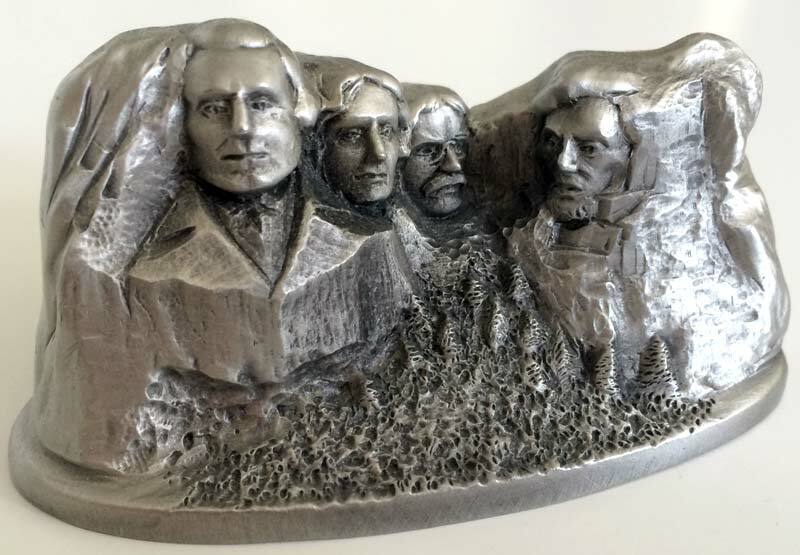 Pewter replicas are made by by melting pewter alloy and casting it into molds. It’s a soft metal which is easily bent or dented. Pewter figurines tend to be produced in a smaller size scale. 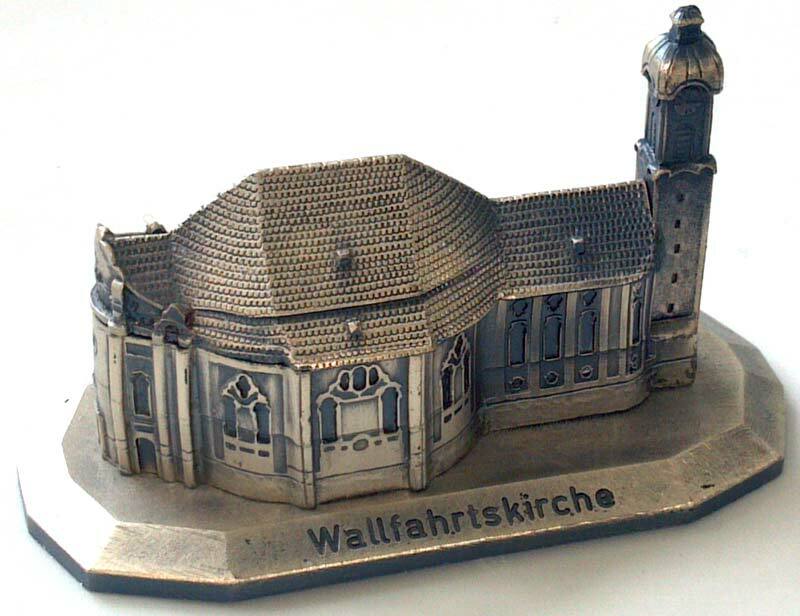 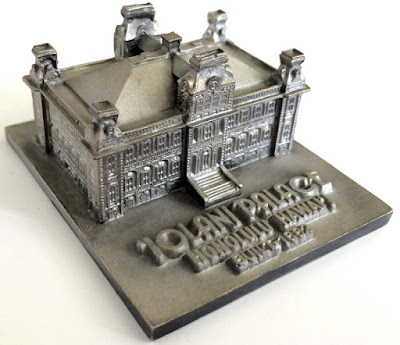 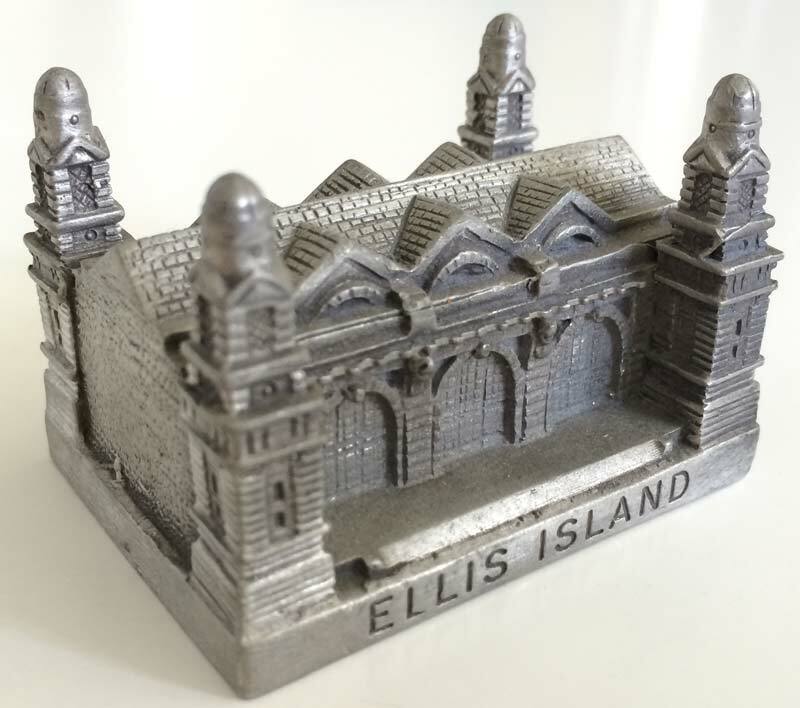 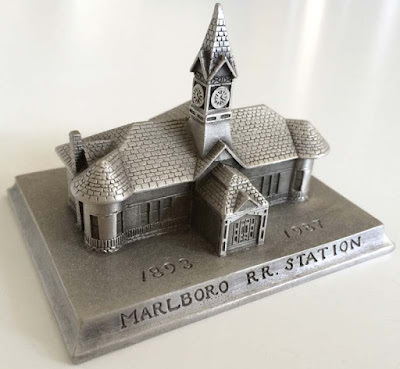 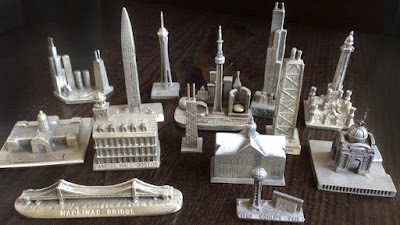 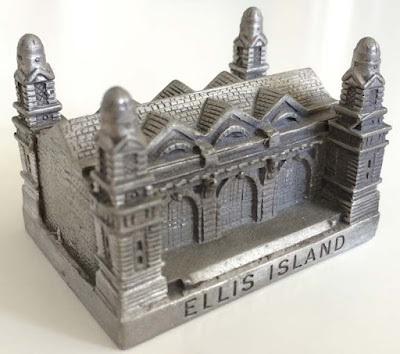 Souvenir buildings have been made by a variety of pewter-producing companies including: Spoontiques, WAPW (Wales Association of Pewter Works), Hudson, Bates & Klinke, Roycliffe, Superior, and many others. 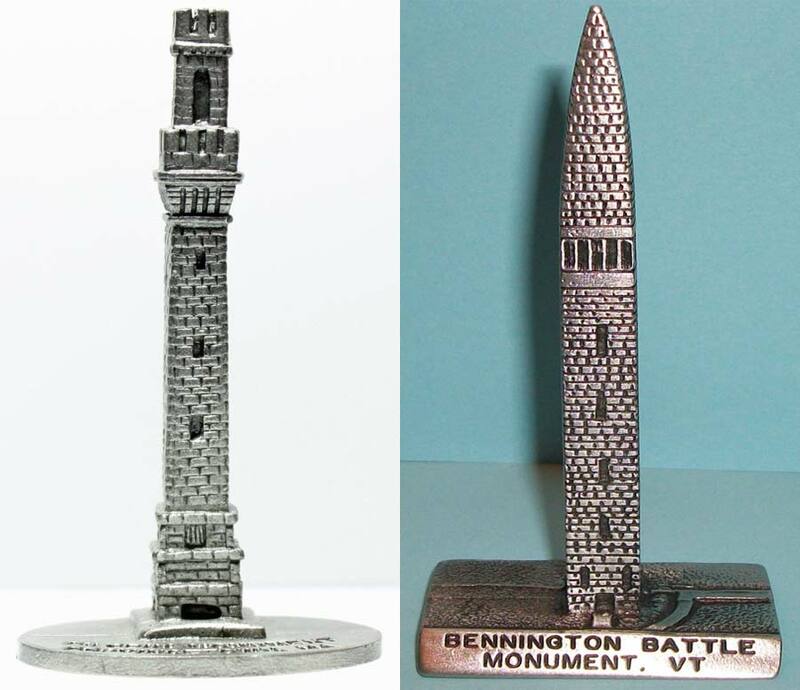 I’ve written beore about pewter replicas like military statues and Union College’s Nott Memorial. 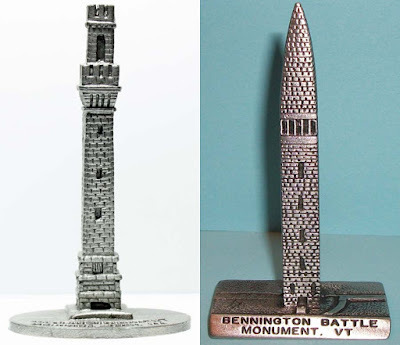 Below are some examples and photos of building replicas made of pewter. 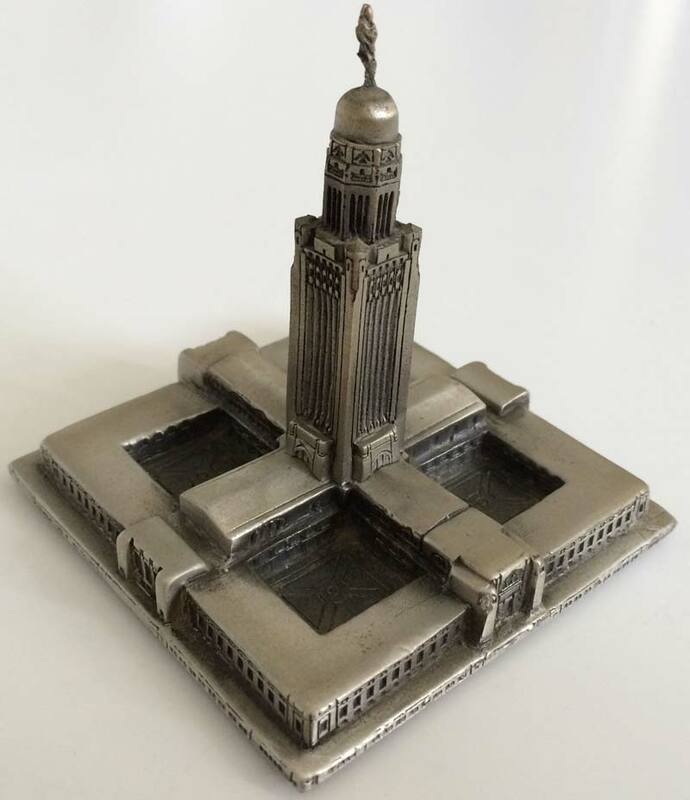 Do you know of others? 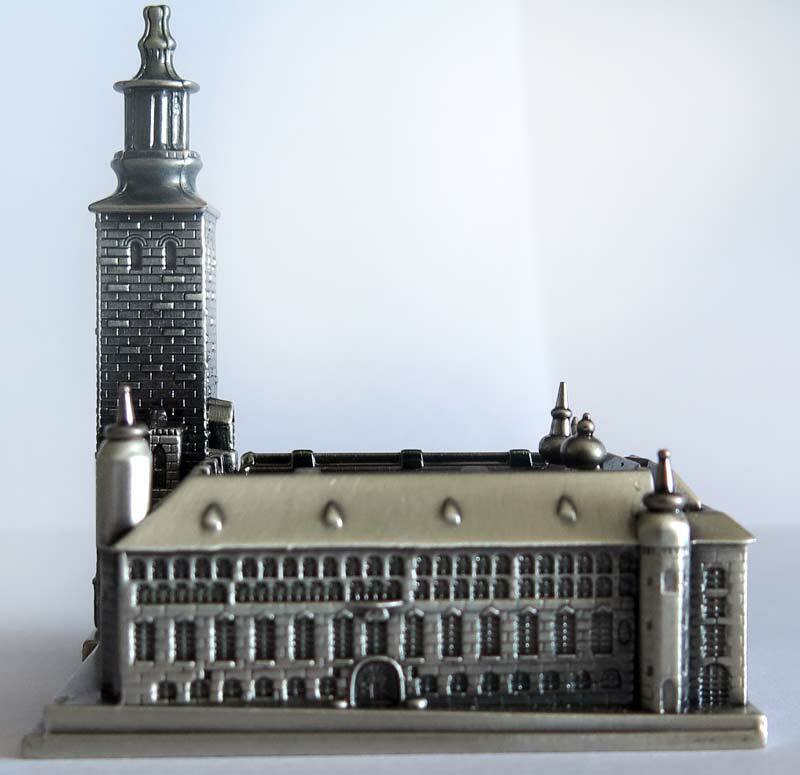 Aitkens Pewter of Fredericton, New Brunswick makes a small number of miniatures of famous buildings and structures of Atlantic Canada. Some of their 2D ornaments also depict buildings. 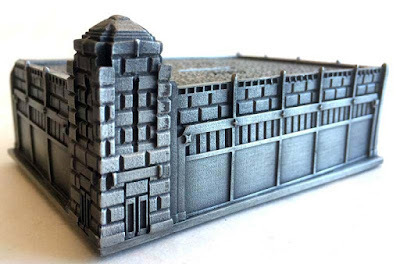 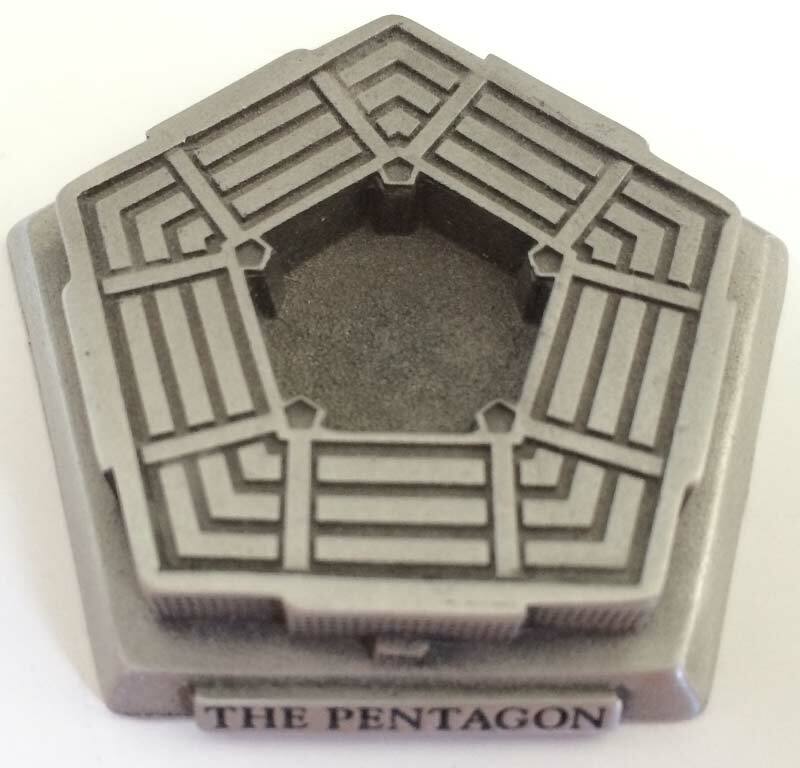 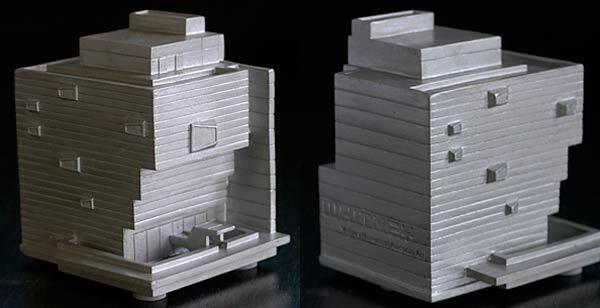 They have also made limited edition items featuring buildings for specific events or occasions. 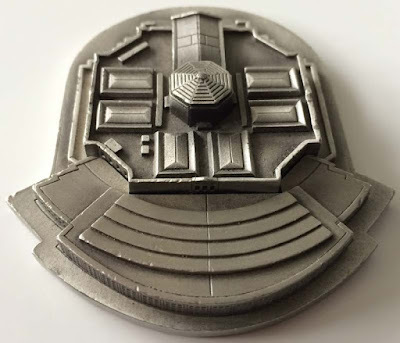 Hello Ian, Thanks for the information about this company. The pewter buildings they make are nice and I will write about them soon. Thanks for sharing your knowledge. It's my pleasure David, as I very much appreciate the effort that goes into producing a blog of this quality. 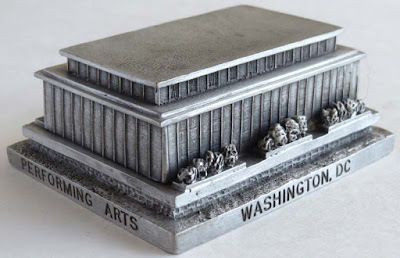 It's a terrific resource for collectors. 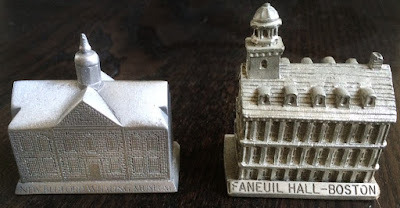 One miniature not shown on the Aitkens website is that of Labourers Arch (also known as Labourers Bell) of St. John, New Brunswick, which I obtained at a convention. 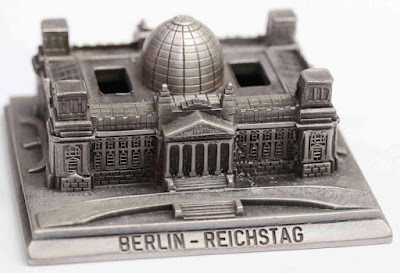 I'm not sure if it's still available.